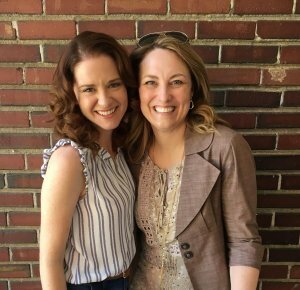 Actress Sarah Drew, left, portrayed Heather Turner, right. “Indivisible,” a movie about Canton native Darren Turner's Army service and the effects on his marriage, had a run in theaters nationwide this fall. While no longer playing on the big screen, the movie has launched a ministry led by Turner and his wife Heather (www.darrenandheatherturner.com). Although the film will be released on DVD at some point, that information wasn’t available at press time. Keep checking the Turners’ website for updates. In the meantime, Darren answered our questions about his life, and being in the national spotlight. What is your Cherokee County connection? When did you join the Army? “I grew up in Canton, and went to Cherokee High School. I also graduated from the University of Georgia and continued to live in Athens for several years. I met my wife in Athens, and we got married and started a family there. After a few years in campus ministry at UGA, I decided to become an Army chaplain. I joined the Army in 2007, and deployed a few months after my first day of active duty. It was fast. How did the movie come about? How does it feel to see your life portrayed by actors on the big screen? Where was the movie filmed? How can our readers see it? What are your post-movie plans? Has the movie, and the response to it, made a difference in your life? “It’s a privilege to be part of ‘Indivisible’ and to share our story of hope with others. As far as future plans go, I’m still an active duty chaplain, serving soldiers and their families, and I will continue to do that as long as I can. The film may bring us speaking opportunities for various groups, like military groups, churches, conferences, etc. If that happens, we will respond accordingly, and hopefully be able to encourage people at some of those events, as long as we can take time off to do that. We have a busy family now, with two teenagers and a pre-teen, so life is certainly filled with activity. If people want to invite either Heather or me, or both, to speak at an event, they can send us a request at www.darrenandheatherturner.com. 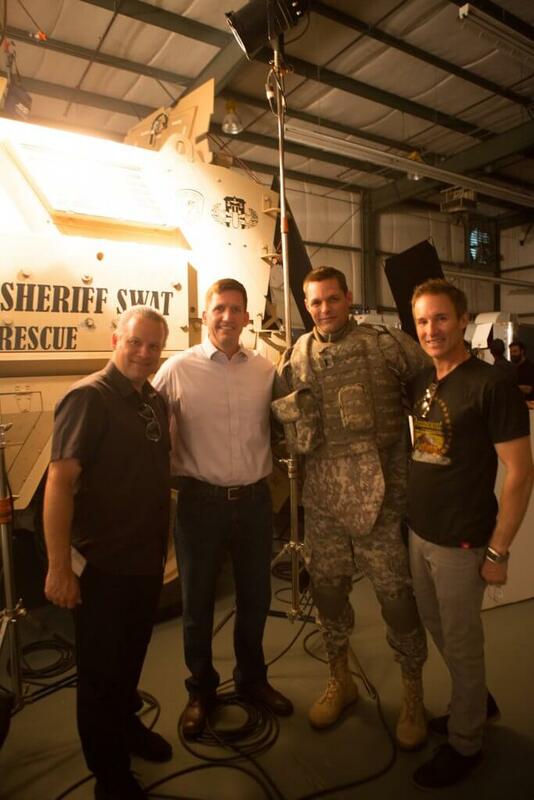 From left: Director David Evans, Chaplain Darren Turner, lead actor Justin Bruening and producer Darren Moorman. Photos courtesy of Provident Films and The WTA Group.